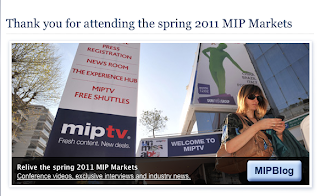 During this MIPCOM again, we will develop different themes dedicated to Producers within our conferences and events. Due to its success, we have also renewed the “Associations First Timer Contract” (attached) which will enable your members who have never attended MIPCOM before to benefit of the special rate of 675 € excluding tax instead of 1 145 € + VAT (regular fee). For returning client, they could benefit of the Early Bird price i.e. 895 € + VAT until July 12th. SASFED has an important network of producers and I was wondering if you would like to communicate to your members this offer, through one of your shownews or directly on your website. I wish you a nice day and look forward to hearing from you.